We may think that largely wild plants such as those of the rainforest, which provide various substance useful to treat diseases. 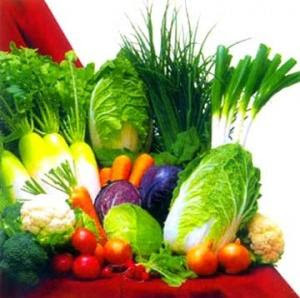 But common plants including vegetables that are easily bought in the market can be highly valuable in fighting cancer. The Alliums and cruciferous vegetables are among them. The Alliums are a group of vegetables comprising of onions, garlic, shallots and others. Apart from being widely use in various cuisines around the world due their strong flavor, Alliums are also useful in cancer prevention because they contain flavanoids--antioxidants that have anti-cancer effect. An example is Quercetin, a flavanoid in garlic, which has been shown to stop colon cancer. Organosulfur compounds are other constituents of Allium vegetables that have anti-cancer effect. Laboratory studies have shown that organosulfur compounds can suppress cancer production in certain organs of the gastrointestinal and respiration system including stomach, esophagus and lungs. Population studies have provided further evidence concerning the benefits of as garlic and onion in dealing with cancer. A study in China indicated that consuming onions and garlic have prevented cancer of the stomach and esophagus. In the United States, one study revealed that people who consumed garlic have reduced risk of having colon cancer. The cruciferous vegetables were so named due to the arrangement of their four petalled flower. Broccoli, cabbage, cauliflower, reddish, turnip, kohlrabi, and kale are a few examples of these vegetables. The chemical compound responsible for cruciferous vegetables' anti-cancer properties is isothiocyanates. At the molecular level, its action is directed against a specific protein called Bcl-2 which prevents apoptosis—a sort of cell suicide that kills damage cells. It turns out that when the action of Bcl-2 protein is not blocked, cancer cells can be immune to chemotherapy. The advantages of cruciferous vegetables in cancer treatment are supported by numerous scientific studies. In a population study of breast-cancer patients, researchers found that patients who ate cruciferous vegetables in the first three years after diagnosis live on. In another study reported in the journal Clinical Cancer Research, sulforaphanes, a compound in broccoli was found to reduce the growth of breast cancer stem cells. However, to fully utilize sulforaphanes in broccoli, you should ensure that you do not over cook them. The reason is that your body requires myrosinase, a heat-sensitive enzyme that also occurs in broccoli, which is crucial in formation of sulforaphanes. Therefore, you need to cook broccoli lightly so as not to destroy myrosinase.